Muzaffarpur cabbie Ram Babu: "Public memory is short. Nitish will lose because of Lalu alliance"
Ram Babu Thakur left home as a teenager to find work outside Bihar. He worked at a tea estate in Assam and a hotel in Siliguri before the struggle for survival took him to Mumbai. It is here that he finally found some stability and made enough money to support his family back home in Muzaffarpur district. He worked as a watchman for many years, and then began driving a taxi. Even after he got married, Thakur didn't move back to Bihar. Instead he brought his family to Mumbai, which he began to consider home. His children went to school in Mumbai and grew up learning Marathi. Thakur became a member of the Shiv Sena; not out of any conviction, but for the sake of convenience. "Having a Shiv Sena card helped us just in case we got into trouble with the police," he says. "For instance, once a friend and I were drinking in public. A policeman was about to hit us and penalise us. But I showed him the Shiv Sena card and he let us go," he recalls with amusement. But the relative prosperity that Thakur and his family enjoyed in Mumbai proved to be shortlived. Thakur suddenly fell seriously ill. Though he doesn't disclose what the illness was, he says it changed his life and that of his family. The very reason he loved Mumbai - the fast life and a sense of independence - were now driving him away. As his children were in school and he was the sole breadwinner, there was no way they could have survived in Mumbai. Thakur was forced to move back to his village near Muzaffarpur. His 25-year-old love affair with Mumbai came to an end in 2013. The support of family and community members and the relaxed lifestyle of the village helped Thakur recover partially. 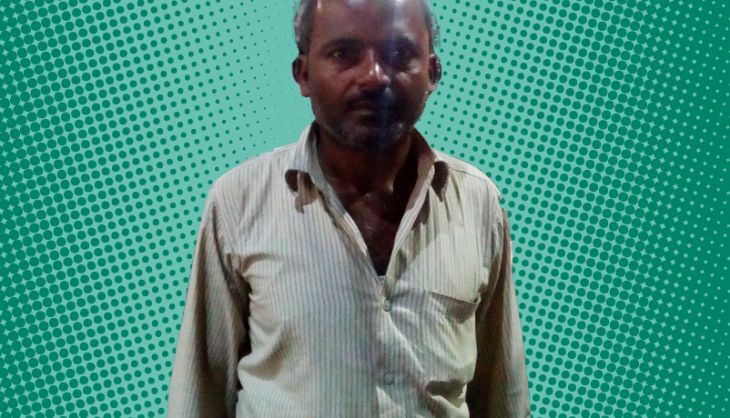 Now he drives a private cab out of Muzaffarpur, but avoids long hours on the highway. He is happy that his children are getting a taste of the village lifestyle. "They had lost their roots and their values. They had started speaking in a very cocky manner," he said. His son will soon turn 17 and the daughter is 16. Both are in inter-college. However, he laments that the children get extremely bored in the village, as life is completely different from what they had in Mumbai. Thakur says he too feels bored very often, but doesn't admit it in front of his family. "I will go back to Mumbai one day," he says. Among other things, Catch also spoke to Thakur about the Bihar assembly elections. Here's what he had to say. Who are you supporting in this election? I have always been a BJP supporter. My family always voted BJP. Besides, we are Bhumihars. BJP is our party, just as RJD belongs to Yadavs and LJP to Dalits. Is caste the only reason you are a BJP supporter? Not at all. In Mumbai, caste was never a factor for voting. This time, I am not voting for BJP because of caste. I am voting for it because of Prime Minister Narendra Modi. What do you admire about Modi? I admire the work he has done. The Swachh Bharat Abhiyaan is the best thing to have happened to this country in a long time. You look at at Patna, look at Muzaffarpur, there is filth all around (points to a garbage dump on the road). Even Mumbai, India's richest city, is extremely dirty. The lack of hygiene is our biggest problem. You know I am so impressed with the abhiyaan that even my mobile caller tune is the Swachh Bharat jingle. Besides this, the Jan Dhan Yojana is also a very useful scheme. I started a bank account here with the help of it. Starting an account has now become extremely easy. I think I will be able to take a loan with ease as well. What do you think of Nitish Kumar? situation is better. At least, I can confidently say that about Muzaffarpur. But he shouldn't have parted ways with the BJP. Look, now he has joined hands with Lalu Prasad. So you think the BJP will win? Definitely. People always remember what you did last. In Nitish's case, everyone will think of how he has allied with Lalu. They won't remember the good work he did before this. Also, many people feel that we need to give Modi a chance. True. They should have. But whoever becomes CM will work under Modi's guidance and according to his philosophy. Having the same party in power at both state and Centre will be beneficial for Bihar. TWEET THIS My vote for Modi, because of Swachh Bharat Abhiyaan and Jan Dhan Yojana: Bihar cab driver Ram Babu Muzaffarpur cabbie Ram Babu: "Public memory is short. Nitish will lose because of Lalu alliance"